Responsive solutions. Strong leadership. Deep experience. T‑Solutions offers exceptional maintenance engineering, logistics and management services worldwide to both commercial and government clients. The highly qualified and uniquely skilled professionals on our team are committed to providing these services with integrity, delivering excellence that enriches our clients, employees and communities. T‑Solutions is a thought leader in maintenance engineering, program management, change management, process improvement, and requirements management programs. We are also an agile provider of technical solutions for clients around the world and offer a renowned U.S. Navy Port Engineer Program. T‑Solutions is a thought leader in maintenance engineering, program management, change management, process improvement, and requirements management programs. We are also an agile provider of technical solutions, helping our customers succeed in today’s era of defense, security, maintenance engineering and business transformation. Our most recognized program is the U.S. Navy Port Engineer Program. Our port engineers are the key enablers of all off-ship maintenance for their assigned warships, and they embody “corporate maintenance knowledge” for their ships, with many serving over 10 continuous years on the same ship or class. T‑Solutions also has deep experience with Condition Based Maintenance (CBM) programs using Reliability Centered Maintenance (RCM). T‑Solutions’ Executive Vice President and Technical Director, Ken Jacobs, is an expert in CBM and RCM implementation in large organizations based on his leadership in implementing those programs while working at NAVSEA as the Surface Ship Maintenance Director and Deputy for RCM to Amtrak’s Chief Operating Officer. T‑Solutions Inc. is a woman-owned, veteran-owned small business headquartered in Chesapeake, Virginia. The vast wealth of knowledge and experience that guides T‑Solutions makes it a global resource and helps our customers succeed in today’s era of defense, security, maintenance engineering and business transformation. 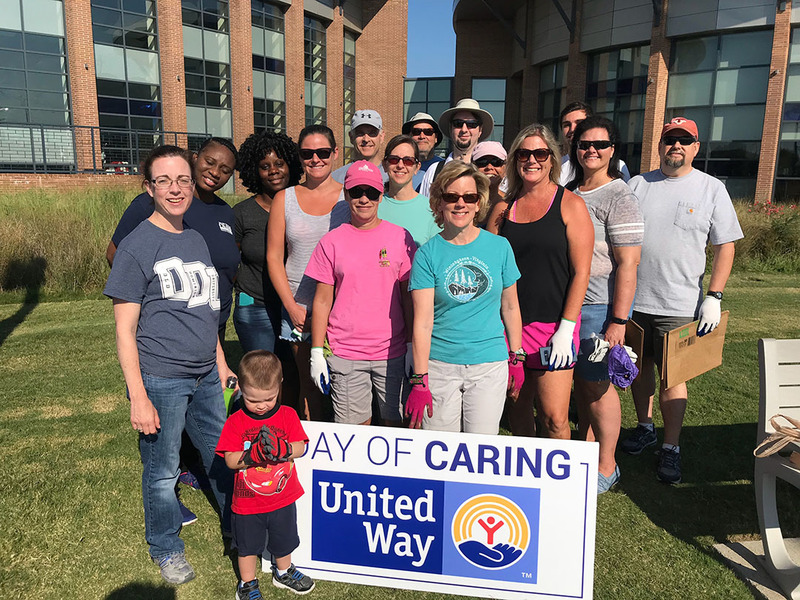 Through volunteer time and financial support, T‑Solutions and our employees are actively involved in our community, as well as many organizations that embrace causes we believe in and that are meaningful to us. Each year, Jim and Darlene Todd choose a current-affairs essay topic and request that children of full-time employees write a response to the topic. Participating students receive a $1,000 college scholarship. To date, T-Solutions has awarded $26,500. We also contribute to charities and organizations in the communities where our team members work. You will find T‑Solutions in strategic places around the world where the capabilities we offer can make a difference. We believe our worldwide locations allow us to have special insight, which, in turn, benefits you. We are a company that rewards achievement while encouraging personal growth, and it is our mission to offer expert technical solutions through engineering, logistics and operations, IT and cybersecurity, consultation, and environmental and safety support.